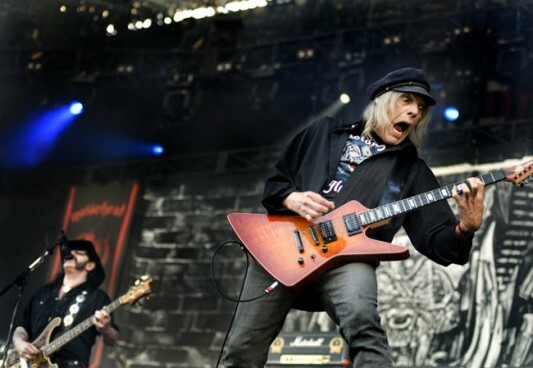 The metal world has suffered another heavy loss, with the sad news that former Motörhead guitarist, Würzel, passed away on July 9, 2011, reportedly from heart disease. He was 61 years old. Würzel joined Motörhead in 1984, for the timeless album Orgasmatron, and remained with the band through to 1995. He had acquired the nickname Würzel in the Army because his Scarecrow like hair made him look like a British children’s fictional character Worzel Gummidge. Motörhead leader Lemmy Kilmister is rumored to have had the idea to add the umlaut to the ‘U’ to make it more metal.